In my last article I used the word “Reproduction”. I used it in reference to fine art prints or giclées because they are in a sense, reproductions of artworks that are done in ink on paper. But that particular word is generally used for a copy of the artwork done in the same medium. 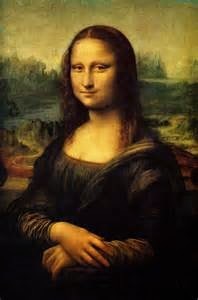 For instance, you cannot own the original, famous artwork by Leonardo da Vinci titled “Mona Lisa”, that painting is in the Louvre Museum in Paris. However, you can purchase a reproduction of it that is hand painted in oil paint on linen canvas just like the original, but painted by an artist that has made a career out of copying the master’s works. This is what is commonly known as “A Reproduction”. These Reproductions are done of artists work that are no longer living. For today's artists there are copyright laws. All reproductions should only be done by permission of the artist. There are those that take photos of other artists work and send it out to another country for copying and mass marketing. That is illegal, and that is why many artists will not let you take any photos of their artwork. Artists, like in every other profession, need to pay bills and selling their art is how they do that, so they don't appreciate others that seek to interfere with their income. But there are legal reproductions, just be sure you are buying from a reputable dealer. Open edition prints are giclées that are generated at the will of the artist. If a print sells well, the artist will have another printing edition done. They could sell thousands of prints for years and years or as long as collectors are still interested in it. A numbered print is also an open edition print, but is kept track of, meaning that each print of a specific piece of artwork is numbered by the artist and therefore, you know how far in the process your print was printed, period. It does NOT mean that there are only a certain number of prints of that piece of artwork. This type of print would most likely be offered by an artist that is very organized and wants to keep track of how many of his/her prints of a particular artwork have been printed and sold. A numbered print would have one number in the margin somewhere near the artist signature. In this case, the lower the number the better because if at some point 500,000 giclées of a particular piece of artwork had been sold and you had print #10, you would have an early edition of the open edition prints. I would like to say that I am one of the very organized artists that are able to keep track of all my prints, but sadly I found myself getting confused with this method. So for now I generally do open edition unnumbered or limited edition numbered, which will be explained later in this article. This is simply a print that has a live artist’s signature on it. What I mean by “live” is that it is an additional signature, not a printed one, but one that the artist actually signed after the reproduction was printed. You should see a signature on the painting itself, that is part of the printed material, and a second one in the margin. The additional signature is usually done in pencil (sometimes permanent ink) and located in the white border or margin that surrounds the print. There may be a title or description of the artwork on one side and the signature on the other. Rarely, but sometimes, it can be found on the back of the print. In my opinion, if you are buying a print from the artist, not a distributor, you should expect it to come signed by them. But that is not always the case. Read the item description for what to expect if you are buying online, or look for a signature if you are buying at an art show or gallery, where you could ask to have it signed. You may also want to clarify that it is a live signature and not a stamp or printed one. I sign my prints in the margin on the lower right of the print, pretty much under the printed signature that is in the artwork and I write the title of the artwork in the lower left margin. I recently started dating my giclée's near my live signature with the date of my signing (not the date of painting). It’s just something that I decided to add so that the collector will have a date of reference of when they bought the print. Collectors seem to like dated art. Due to our competitive nature they especially like it when their date precedes the dates of other collectors. Let’s say that a limited edition of 500 is offered, then once 500 reproductions are printed there won’t ever be any more printed. Only 500 collectors will ever have a print of this artwork making it highly desirable and collectable and, yes, more expensive. The maximum number is to include any reproducing, (paper or canvas) and all sizes. The number will be represented on the print in this way: 25/500 meaning this is print number 25 of 500 total prints or total reproductions. The lower the number of prints that will be offered, (the smaller the edition) the more rare they are and therefore the more expensive they will be. For example; an original is more valuable than a limited edition print, a smaller edition print is more desirable and worth more than one from a larger edition. There are always exceptions, this will depend on how popular the artist is, I have seen an early numbered limited edition print sell for almost as much as the original painting. If you’re fortunate enough to get an earlier edition of a limited edition series, it may have something more special to it, such as a larger size or specialty paper, a personal statement or possibly even a Remarque, making it even more desirable to collectors. With limited editions, the artist may require information from the collector such as name and address for their own documentation. I want to throw in a disclaimer at this point though; please check with each individual artist about what their "meaning" of a limited edition print is before purchasing it. I have seen artists and photographers re-defining that term for themselves. They may consider just the signed ones part of the limited edition but then sell hundreds of others without signature. So please get clarification from the artist before purchasing. When I offer limited edition prints I handle the prints wearing white gloves to protect them from surface oils and avoid any chance of finger prints oxidizing and becoming visible over time. They are signed and dated and put inside a clear cello sleeve along with a certificate of authenticity describing my product. I haven't offered many limited editions but I have had a few paintings that I reproduced and sold in this manner. On those I put the edition numbers in the lower right margin in place of the artwork title, but I have decided that any future limited editions that I offer, I will put the edition numbers next to the artwork title. My next article will cover matted prints, remarques and certificates of authenticity.